Get deeper insights into every customer and prospect with your Experience Data (X-Data) and Operational Data (O-Data) together through the Qualtrics-Salesforce integration. 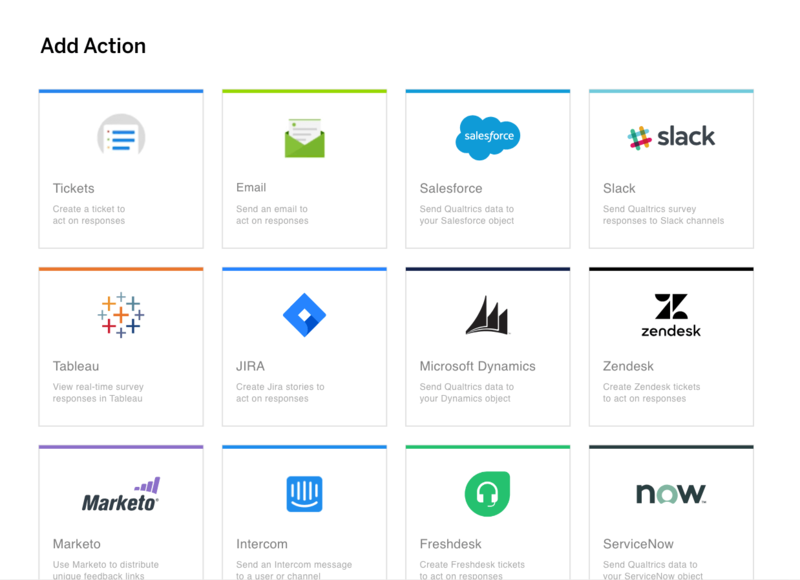 With the Qualtrics-Salesforce integration, you can use surveys to capture leads, send transactional surveys based off Salesforce events, and send relationship surveys to lists of contacts or campaign members. You can also map all survey responses back to Salesforce so you can see your experience data (X-Data) alongside the operational data (O-data) in your CRM. 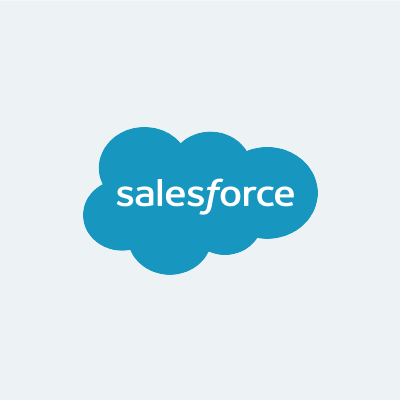 Response mapping allows anyone – not just Salesforce admins – to easily connect multiple Salesforce accounts within the same survey. Easily map data and responses from Qualtrics to Salesforce with a point-and-click interface. Response mapping even auto recommends how to map Qualtrics fields to Salesforce maps. Create new leads based on survey responses. Elevate the voice of your customer by posting survey responses, such as NPS scores and feedback, directly to Chatter. Trigger surveys based off Salesforce workflow rules. 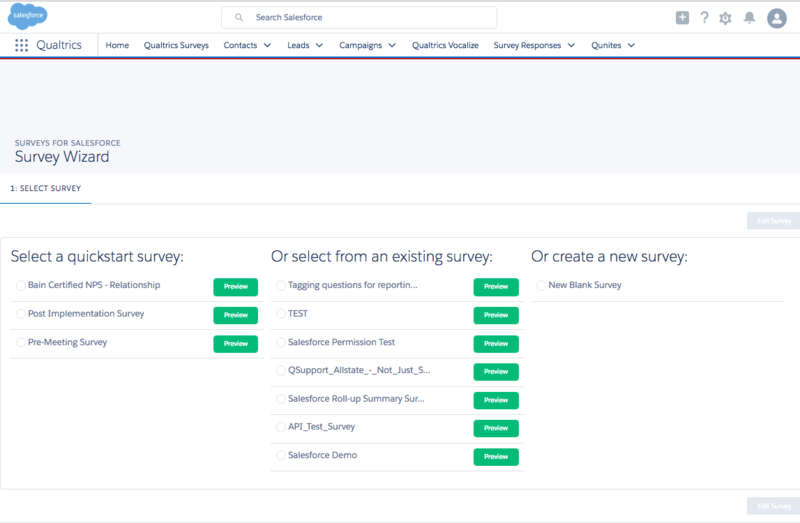 Create and send surveys to a list of contacts, leads, or campaign members from within Salesforce. Automatically map responses into any object or field in Salesforce. Connect Salesforce accounts in the same survey. See your survey data next to CRM data. All you need to get started is a license to Salesforce Sales Cloud, Service Cloud or Government Cloud and an active Qualtrics license.